Pacific Island Countries: The Truth About Hand Washing! The uncomfortable truth about hand washing is that not everybody comes clean about it. 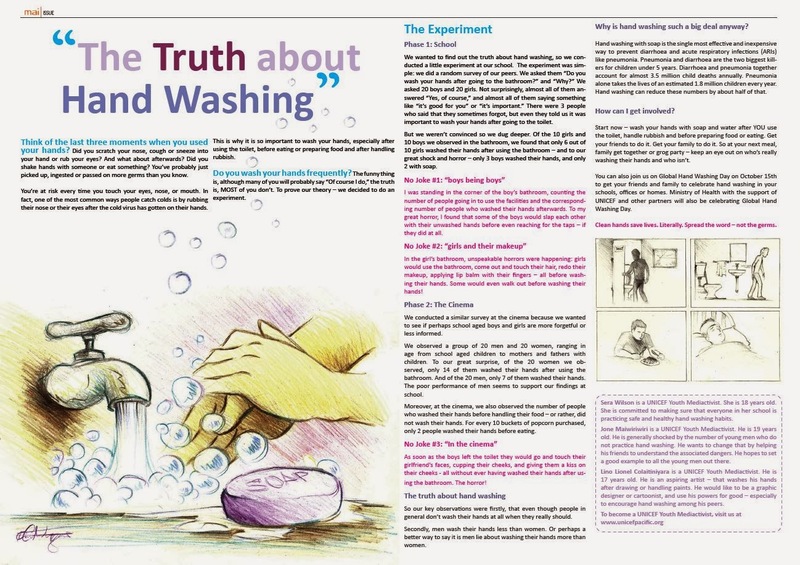 Read October's youth feature in Mailife Magazine (also published in Fiji Times October 20th) that uncovers some gruesome realities of hand washing practices in schools and in public places in Suva, Fiji. This article was written by UNICEF Youth Mediactivists Sera Wilson (18), Jone Maiwiriwiri (19) and illustrated by Lino Lionel Colaitiniyara (17).